KARACHI: Another death from dengue fever was reported at Aga Khan Hospital the other day where a 60-year old man succumbed to the deadly virus. A 60-year old man, Muhammad Khalil s/o Muhammad Shakil, a resident of North Karachi, was brought to Aga Khan Hospital, who died the same day. The man was suffering high-grade fever when shifted in the hospital and diagnosed dengue fever. 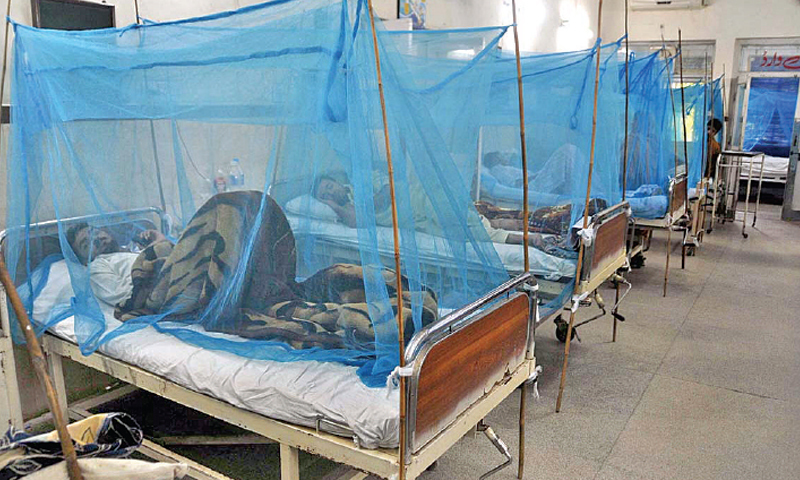 In April, An elderly woman, namely Akraman Mai, the resident of Surjani Town, of Karachi was died in Jinnah Postgraduate Medical Centre (JPMC) due to dengue fever. As many as 25 more dengue fever cases were detected thorough Karachi city in a week, taking the reported cases toll to 969 since 1st January 2018.